Asking for help from friends and family. Appealing for loans from banks and financial institutions. Looking for government plans and support. Angel investors and so on. This holds good for almost any kind of business. 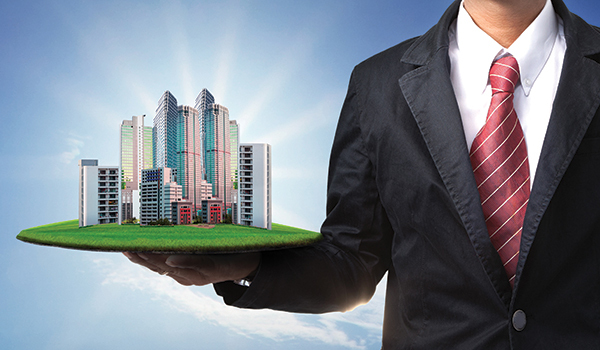 What if you were interested in starting a real estate business? Would you also need to plan for investment sources? What if there was a way to start a real estate business without investment? If that caught your attention, then read on to find out more. You have to be clear that you will end up spending at least a bit of your money. This ‘bit of your money’ will be in terms of the cost of commuting to client meetings, making telephone calls, printing your business cards and so on; small expenses, maybe, but expenses that you cannot get away from. Look for investors who need people like you. So, maybe you have excellent skills in marketing or maybe you are a magician with words or do you have financial skills that are solid? Take these skills and approach people who would find it useful to get into partnerships with you. Make it clear that the only thing they need to do is put in the money part down for the real estate company. You should have a clear and well-thought out plan for the partnership to start making profits as soon as possible. You should be able to sell a partner on what you bring to the table and how your skills fit snugly with the skills of a partner. You can start a successful real estate business when you make your first purchase of a real estate property. But, for that you need money! And we have already established that you are looking at starting a business without this important factor. So, what do you do? You think of becoming a wholesaler. Very simply put, a wholesaler is someone who gets fees or payment when he or she finds a real estate deal for a person. All you have to do is to sign a contract with someone who wants to sell a house. This contract will specify the purchase price for the house. Once you find a buyer for the property, you simply sell the contract to the individual. All of this is done for a fee. You will have to exercise caution when it comes to making an assessment about how long it will take for you to find someone who is willing to buy the contract from you. You will also have to ensure that this is a continuous exercise. Your networking skills have to be excellent when it comes to wholesaling. You can do so within the framework of an FHA, 203k , VA, or USDA loan. Yes, there are certain stipulations and requirements for such loans. For instance, a 203K loan can only be used for multi-units. Also, they apply to properties that need renovation. So, you can use the HUD money to carry out the renovations and then turn the property around and make money from the same. Buying and repairing a loan has never been easier with this kind of support. It is smart to get a job within the real estate industry because this will allow you to learn the ropes and network too. Some of the things that you can do are become an intern at a real estate firm. You could also become an assistant to a real estate investor or maybe you would like to join a contractor and see how he or she works. Regardless of what you do, it is a great idea to become an employee in the real estate space because it will give you ample scope to learn the business and you can then apply this learning to making a business for your own self. Indubitably, you can start a real estate business without investment of money but it will surely take investments of your time and energy, for sure. NextIs Blogging for Businesses Necessary?